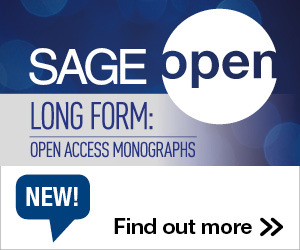 Kerry Barner is a publisher of humanities and social science journals for SAGE Publishing. She is also an active proponent and writer of short fiction who was shortlisted for Wasafiri’s New Writer Prize and whose work has appeared in Brand literary magazine, Notes From The Underground, Anthropology and Humanism, Spilling Ink Review, The Bicycle Review and the Momaya Annual Review. 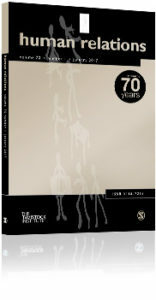 In 2017 the Tavistock Institute for Human Relations and their flagship journal, Human Relations, celebrated their 70th anniversary. Human Relations was established in 1947, ahead of journals such as the British Journal of Sociology (1950), and long before other leading management journals such as those published by the Academy of Management (the Journal, 1958, and the Review, 1976) and journals of work, organization and employment (e.g. Organization Studies, 1980, and Work, Employment and Society, 1987). To celebrate the journal, professor Paul Edwards, FBA, a former editor-in-chief, organized a workshop at the British Academy on October 10th. He posed the question, “Can, and should, social science contribute to better quality jobs? A 70-year retrospect and prospect” (the programme can be found here). The presentations were varied and the debates lively. The following week, Juliet Scott from the Tavistock Institute for Human Relations organised a unique four-day festival around the theme: Reimagining Human Relations in Our Time. At the heart of the festival is the Tavistock Institute’s rich archive, now housed as a permanent display at the Wellcome Collection in London. As part of these celebrations, I was invited by the creative CEO, Eliat Aram, to contribute a short story to the festival, and so Henry Riley: A Personal History of Human Relations, was born. The story frames the seven decades of Human Relations against key moments in one man’s life – and an ordinary life at that – and how those moments are reflected through seminal articles published in the journal. It covers Henry Riley’s birth, education, conditions for factory workers, family life and work, the feminization of work, juggling childcare, as well as later life in the lead up to retirement. There is a cyclical theme to this story. Kurt Lewin published in volume 1, issue 1, of Human Relations and, almost 70 years later, that same article is revisited by Stephen Cummings, Todd Bridgman and Kenneth Brown with an accompanying whiteboard video, and has become one of the most downloaded Human Relations articles of all time. 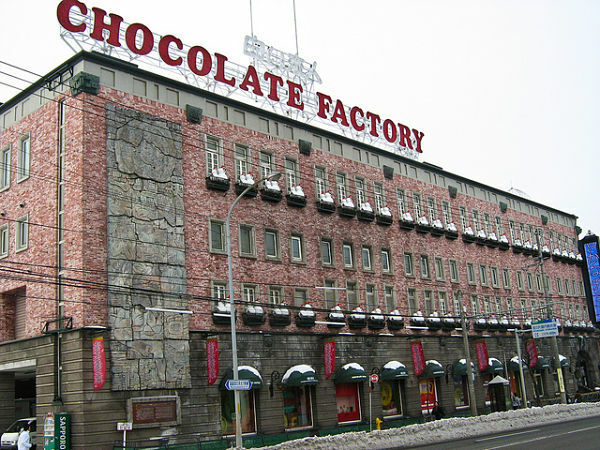 Similarly, Henry Riley starts his working life in a chocolate factory and returns to it years later, but not necessarily to better conditions. We did a podcast recording of the story which featured at the Swiss Church throughout the festival. Sarah Wolverson and Phil Desmeules, both actors as well as working in the HR department at the SAGE UK office, did the recording, ably assisted by Rob Berry and Claire Williams from the video team. If you have a spare 12 minutes and 15 seconds, do give it a listen to below or download here. This entry was posted in Audio, Communication, Recognition and tagged Anniversary, Human Relations, podcast. Bookmark the permalink. Post a comment or leave a trackback: Trackback URL.